Nicknamed "Mr. Clutch" and "Mr. 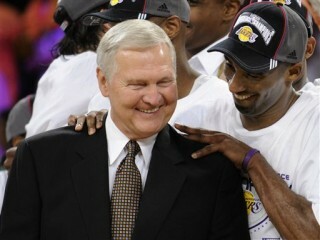 Consistency", Jerry West is considered one of the best shooting guards in National Basketball Association (NBA) history. He excited fans during his playing career with the Los Angeles Lakers, and later enjoyed great success as an executive for the team. View the full website biography of Jerry West.